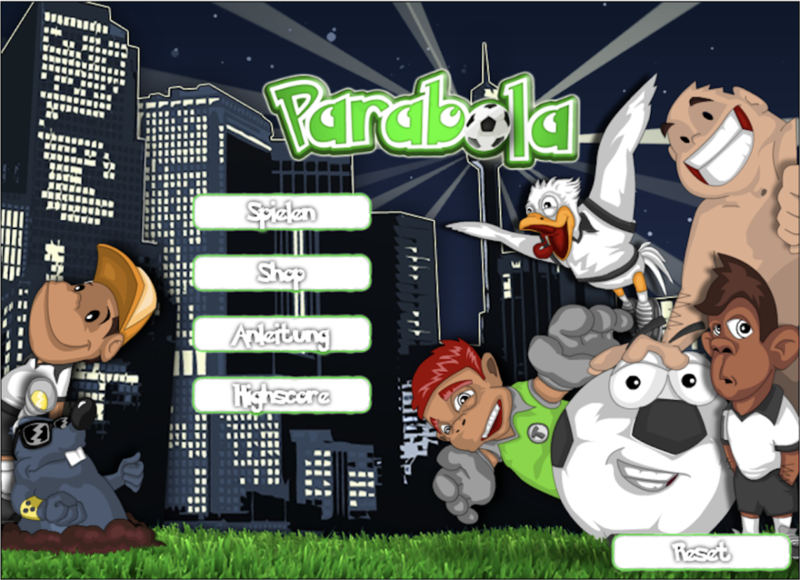 Parabola is a 2D browser-game developed with Adobe Flash. 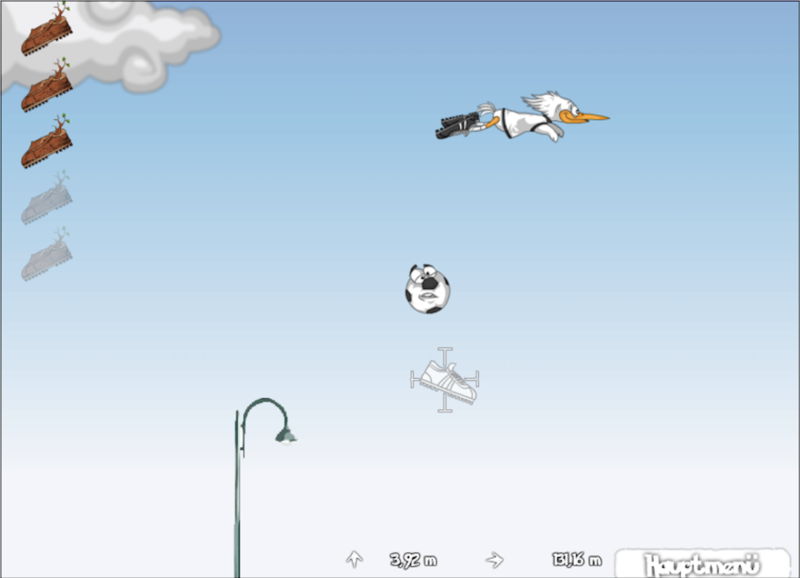 The goal is so kick a soccer-ball as far as possible while collecting money-bags and avoiding lots of funny obstacles. While the kick-off is just a small part of the game the control of the ball is much more important. 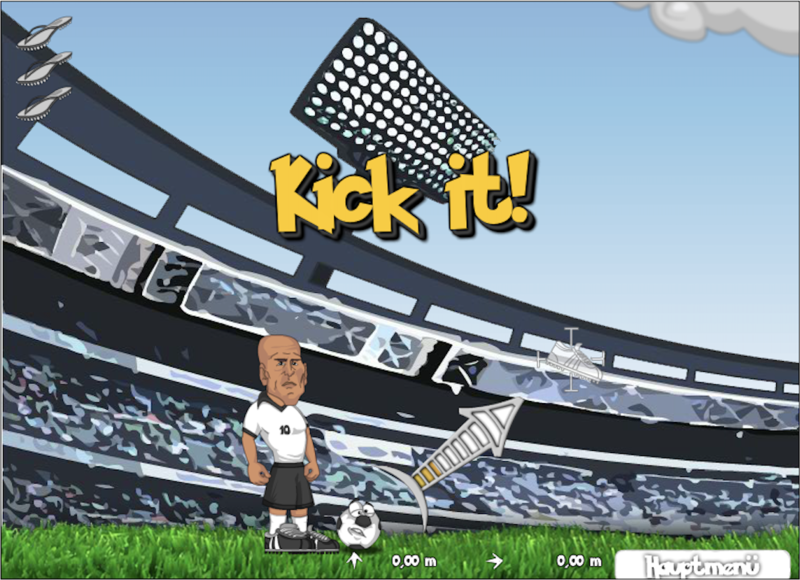 The player is able to kick the ball several more times while in mid-air. Timing is key to archive a longer distance. After each game the player can buy updates that allow him to reach longer distances with the next game.